Since Meadows Place incorporated in 1983, city leaders have striven to achieve a balance between providing high quality city services to its residents and keeping taxes at reasonable levels. 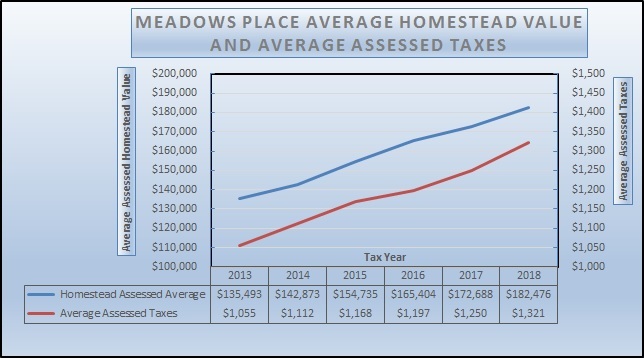 The Homestead Exemption for Meadows Place was raised to 20% beginning in 2019. 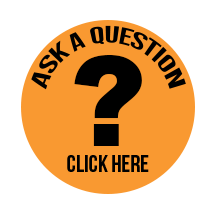 * In regards to the Over 65 and Disabled Person Exemption, you may only qualify for one $30,000 exemption. Both cannot be applied. 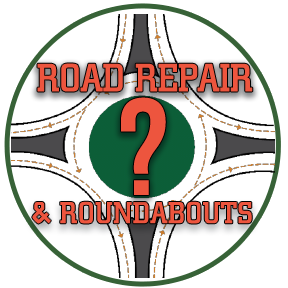 However, the one you are eligible for can be combined with the Homestead and/or Disabled Veteran Exemptions. ** The Disabled Veteran’s Exemption ranges from $5,000 to $12,000 based on percent of disability. The following chart shows the 6 year trend for average homestead assessed property values and City property taxes per homestead.